The government-sanctioned killing of student protesters in Mexico City on October 2, 1968, continues to haunt the city and the nation. Elaine Carey's Plaza of Sacrifices is the first English-language book-length study to situate this watershed event in an analytic framework. She provides a gendered analysis of the protest movement that culminated in the killing of as many as 700 students (estimates are still disputed) and looks at the movement's ongoing effects on relations between the state and the individual, between parents and children, and between men and women in Mexico. Carey traces the trajectory of political and social protests in Mexico City during the summer and early fall of 1968, the tension-filled days of street marches and campus takeovers that gave way to violence. The protestors were students from the middle classes questioning the fundamental assumption of an authoritarian, paternal, centralized state. Their critique of the system dismayed the ruling elite and embarrassed the government because it coincided with the 1968 Olympic Games in Mexico City. Carey shows that the Mexican student protesters were part of an ongoing critique of the failed promises and corrupted ideals of the Mexican Revolution half a century earlier. The government deemed politicized young men as dangerous because they embraced certain foreign influences while resisting co-option into the ruling party. Women, on the other hand, were not seen in such a politicized way. By their mobilization in the movement, however, young women challenged traditional concepts of their proper place within Mexican society and the movement. Carey details the roles and lives of activists to show how the events of 1968 shaped contemporary Mexico. Elaine Carey (Ph.D., History, UNM) is assistant professor of history at St. John’s University. 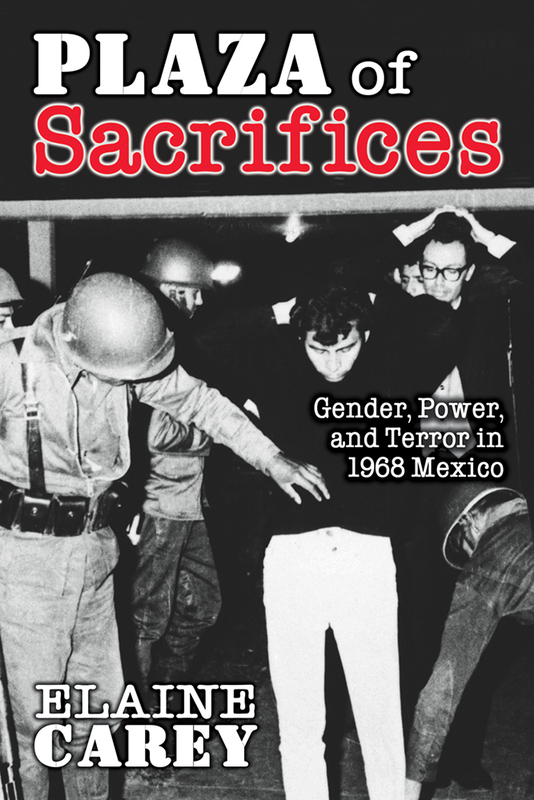 Her first book, Plaza of Sacrifices: Gender, Power, and Terror in 1968 Mexico (UNM Press, 2005), is a Diálogos title.